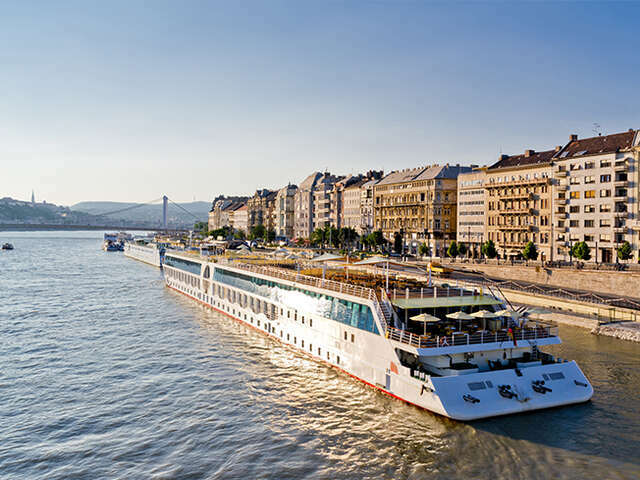 Sailing the most popular itineraries, Viking's award-winning Viking Longships® showcase innovative engineering, streamlined design and understated elegance for the most comfortable river cruise experience available. Let the staff treat you to personalized service, fine wines and delicious, regional cuisine. Engage in immersive cultural activities. 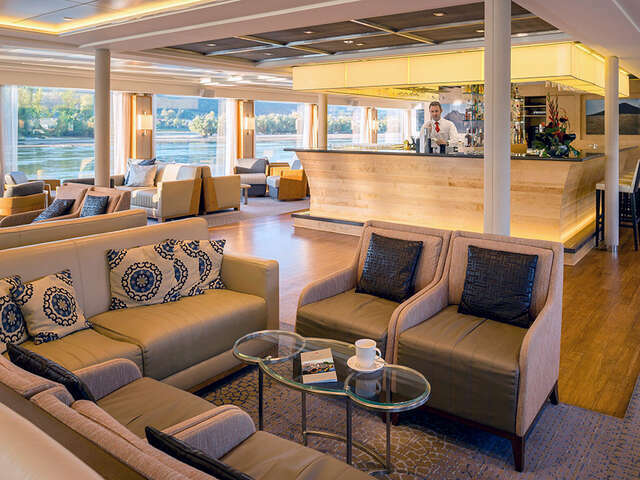 Take advantage of a wide array of amenities, from the onboard Concierge to shipwide Wi-Fi and 24-hour beverage bar. 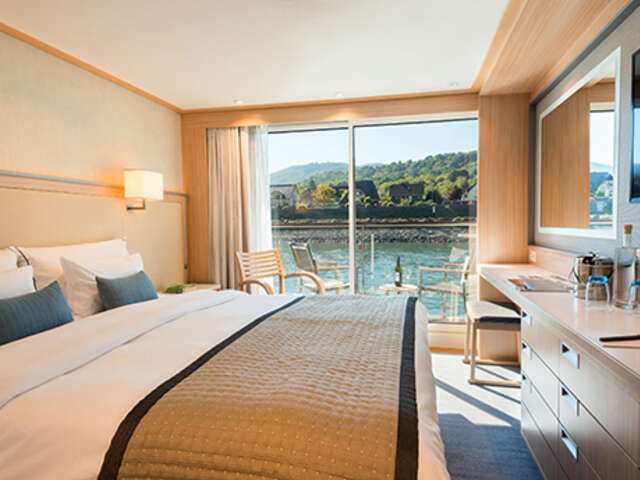 95 comfortable outside staterooms (2 Explorer Suites, 7 Veranda Suites, 39 Veranda Staterooms, 22 French Balcony Staterooms, 25 Standard Staterooms). Sun deck with 360-degree views and shaded sitting area; organic herb garden and solar panels; putting green, and walking track. 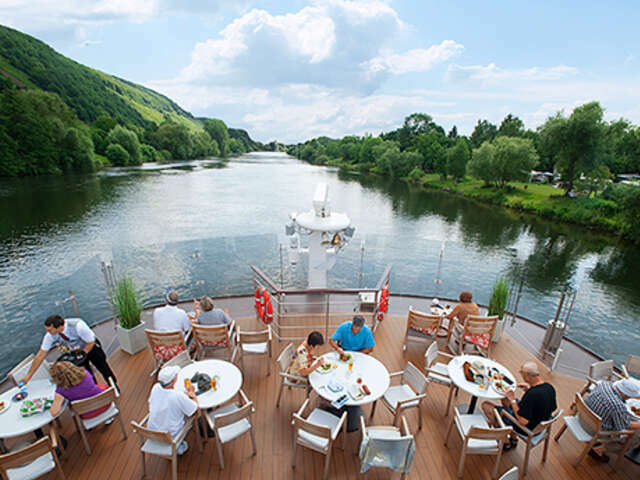 Aquavit Terrace with a revolutionary indoor/outdoor viewing area at the bow of the ship and grills for al fresco dining. The Lounge and bar with floor-to-ceiling windows for panoramic views. Library corner and onboard boutique. Free shipwide wireless Internet service. Ecologically friendly hybrid engines producing less vibrations for a smoother ride. 40" flat-panel Sony TV with infotainment system featuring movies on demand, plus CNBC, CNN, National Geographic and more.